We pick you up at the hotel in the morning to leave Phuket with our guide who will take care of and provide you information. When the bus crosses Sarasin Bridge Phang Nga Province, you can feel the lifestyle of the local communities and their livings as well as the scenery of mountains, rubber and palm which are economic plants around the area. Take a short break for a cup of coffee while enjoying beautiful scenery at Khao Lak. Khao Lak has been hit by Tsunami. Now, there is no mark of damage but only the painful memory of the tragedy. As well as good memory of people who give help to others without discrimination to class, color, nation and religious such like “one world together”. 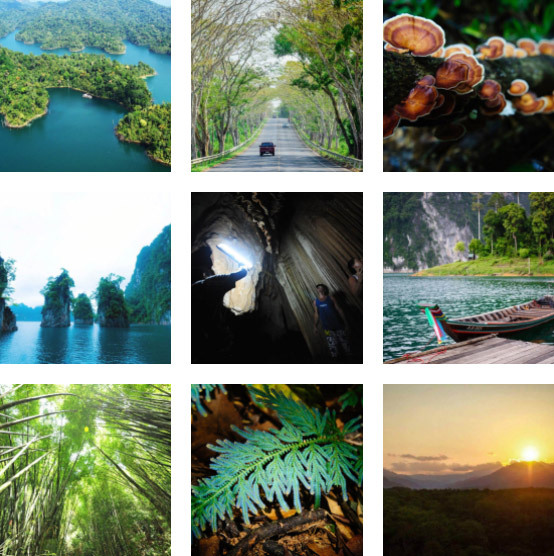 We then take you to Suratthani where the evergreen forest of Khao Sok National Park is located. While we are on the mountainous and wonderful route, you will see the self-sufficiency lifestyle of the local people which makes us feel envy. Arrive at Khaosok for an excited Elephant Bathing Program, you can enjoy giving the elephant a refreshing bath, where you can scrub them, play with them and, get on their back without saddle (approximately 20 minutes). After the bathing, you can buy some bananas to feed the elephants to show your appreciation if you wish. We lead you to The Raft Hose by long tail boat during the boat trip you will be wondered with the very wide water ground of emerald and green colors. It is very beautiful like you are in the ocean until you forget that you are really in the dam. The nature surrounding you will be very beautiful while the trees on the mountains and islands are waving along the wind like they are welcoming their visitors. After you store your luggage, you can enjoy swimming or canoeing. Enjoy your dinner in the sound of jungle. At night you will be enjoying your night under the light of stars, while watching and imaging the shadow of the trees and listening to the singing of insects, breathing in the scent of forest and embraced by the forest. Early breakfast at the floating bungalow. Pack your luggage & check out. We will take you by long boat to enjoy early morning safari, you might be lucky to see various kinds of wild animal drinking water or seeking for some foods at the banks. 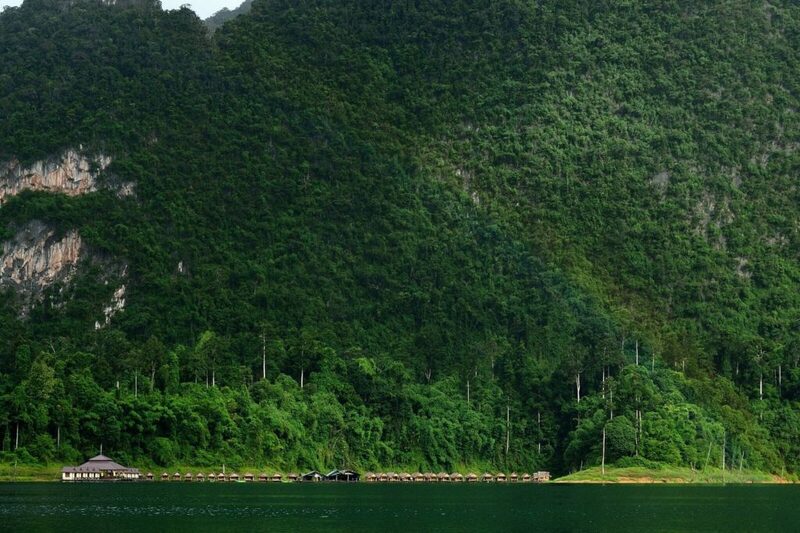 After the adventure, please take a visit to the Ratchaprapa Dam for sightseeing & take photo. Transfer back to your hotel in Phuket or Krabi with a pleasant trip! All the programs are subject to change depending on the weather condition. Child age 12 years old & older are considered as adult price. Electricity at the lake available from 5.00 pm. till 9.00 am. All the bookings are required minimum 2 passengers. Extra pay 3,000 THB. for single supplement. Mobile signal not available at the lake. 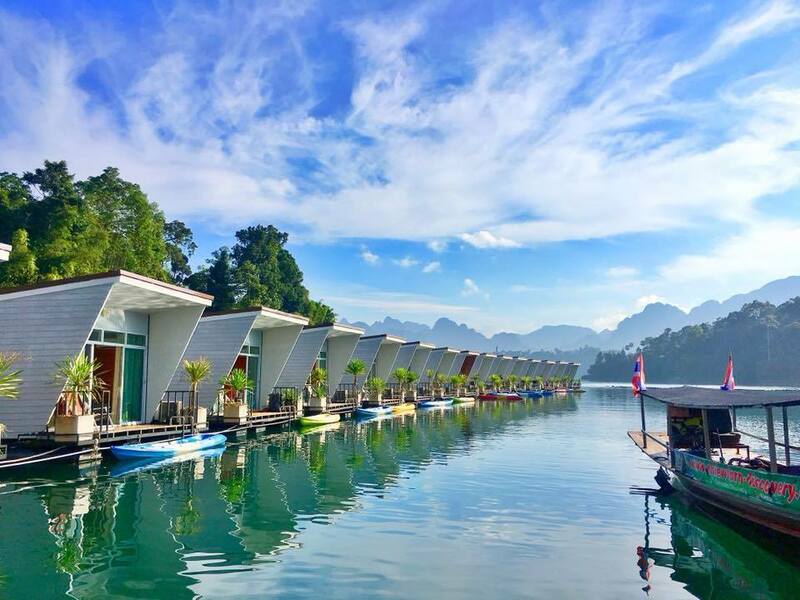 cheow lan lake tour, khao sok lake tours. Bookmark.